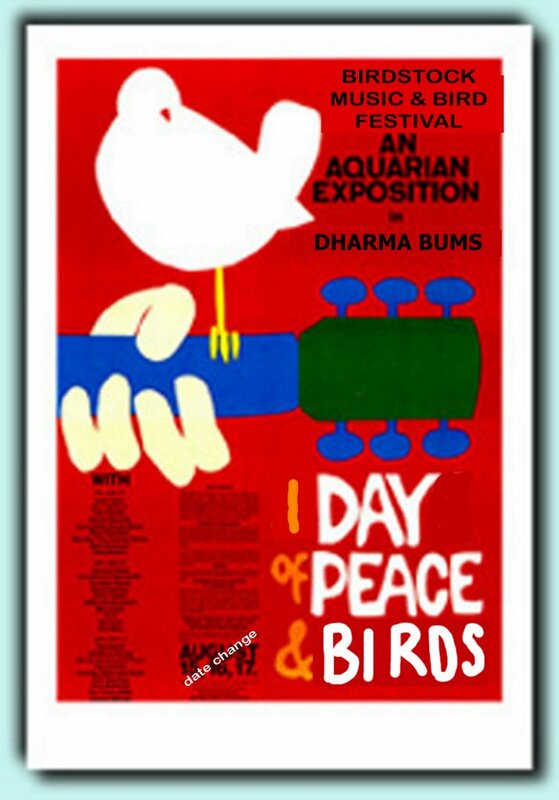 Dharma Bums is transformed for the day into a place of peace, love, and birds. Rexroth's Daughter & dread pirate roberts present Birdstock, the online virtual concert and celebration of wild birds. They've put together a fantastic line up of performers from around the world for you, all singing their songs of birds. Some of us write poems, some photograph, some count, some hold them in their hands and heal them, some paint pictures of their inspiring beauty. But each of us in our own way sings a song of praise and delight, love and appreciation for these wild birds that live among us. I and the Bird 16 at Dharma Bums.